If you are reading this you may already know that it’s not easy to find stylish, affordable and ethically produced men’s shirts from brands who value transparency. Until recently there was a gaping hole in the market. You can find organic cotton or silk shirts on the high street but if you want to shop from independent designers who build ethics into their brand then this list is for you. In no particular order, it starts with a young company that launched when the founders couldn’t find good-looking shirts that were made with care. Grove & Co is opening a new studio in Bristol on 2nd December 2017 and are offering a 20% discount to anyone booking a studio appointment on 2nd or 3rd December. Booking essential via their website or Instagram. Groups welcome. No stag dos. Cold-water surf brand Finisterre strives to be transparent and was founded on their three guiding principles: Product, Environment and People. Their garments are not only designed to be fit for purpose but they are also made to last, and to support this ethos further they offer an in-house repair service. They carefully source a variety of ethical, sustainable materials including organic cotton, recycled polyester and mulesing-free merino. Finisterre has developed and grown its collections over the years and in addition to their core surfwear range, it offers, among other beautifully-made garments, a great selection of shirts. Last year I featured Product Director Debbie Luffman on the blog to find out more about ethical sourcing and how she expertly combines innovation with traditional skills and materials. You can read the interview here. Finisterre is offering readers 15% off purchases with the code CWSTGW. Discount excludes any products that are already on sale Valid from Wednesday 29th November. Danish brand Knowledge Cotton Apparel has a mission ‘to provide the conscious male consumer with sustainable fashion choices – without making any compromises when it comes to style, comfort or quality.’ Their shirts are made of organic cotton and range from classic Oxford shirts and laid-back denim styles to their quirky ‘concept’ shirt and flamboyant floral prints. For some other garments in the collection they use recycled PET and they have grand goals for the future: by 2020 they’re aiming to have recycled more than 4.5 million plastic bottles through recycled PET polyester in their garments, and they’re working towards being carbon neutral throughout their supply chain by 2025. 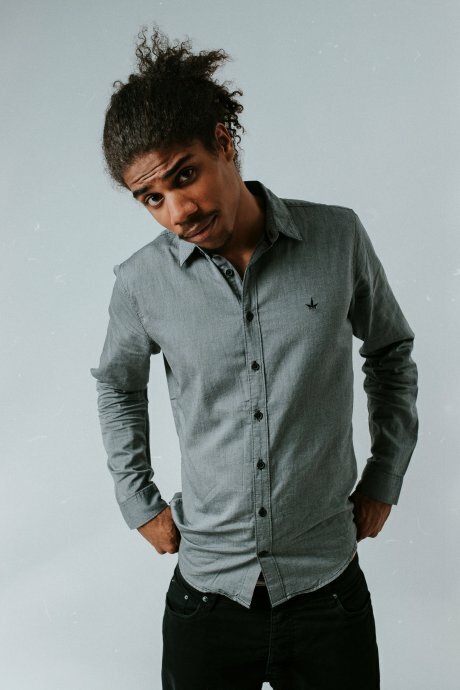 There’s something for almost everyone in Thought’s collection of organic cotton and hemp shirts. They are casual, yet undoubtedly smart and stylish enough to wear to the office, depending on where you work of course. 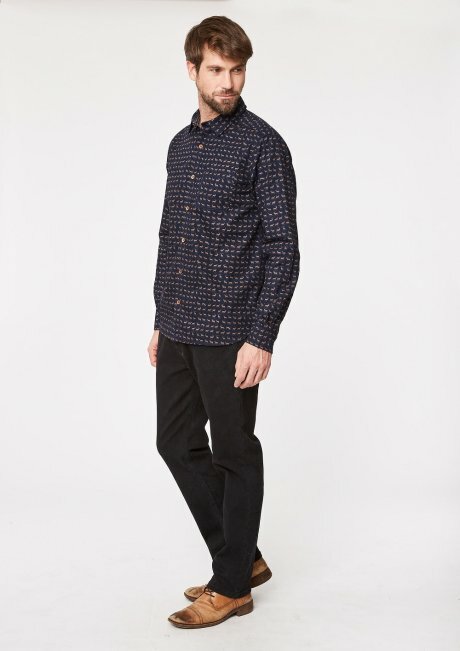 The range features playful prints - including the stag shirt, above - that are perfect for the party season but could equally be worn at the weekend for more relaxed activities. 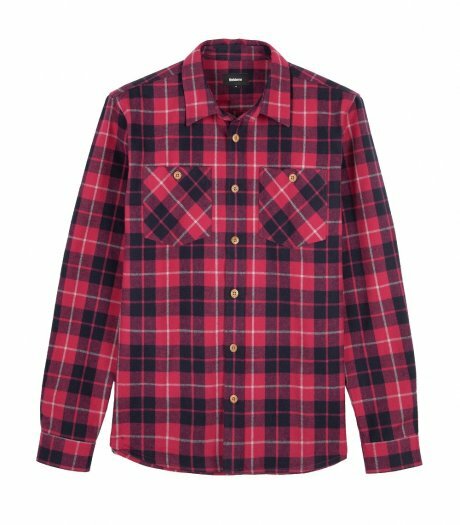 If you’re looking for something simpler, there are classic denim or check shirts too. 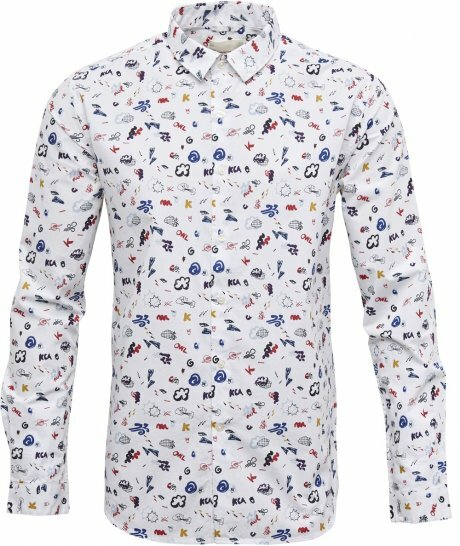 I bought my husband a shirt in the summer - the print is imaginative but subtle and the shirt is great quality and very comfortable. Thought's mission to 'design clothing intended to last' is backed up by their "wear me, love me, mend me, pass me on" ethos. The website is a lovely resource for all things slow fashion, featuring mending, recycling and garment care tips as well as providing details about their own sourcing policies. 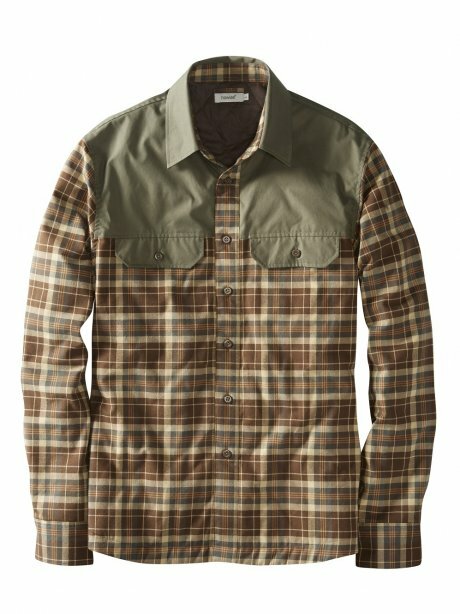 Thought is offering a 20% discount with the code GOOD20. Valid until 31st December 2017. For Christmas delivery in the UK order by Tuesday 19th December 2017 (standard delivery) or for next day delivery order by 12pm on Thursday 21st December. 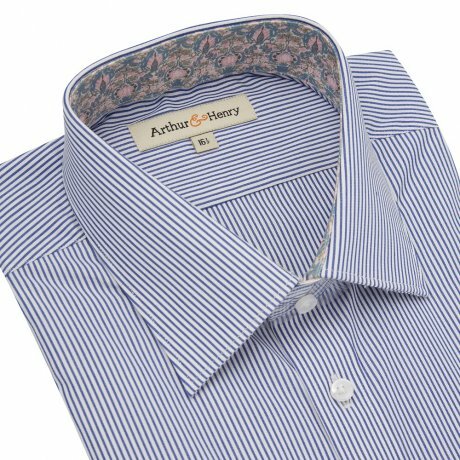 For a smart, classic British shirt in organic cotton Arthur & Henry should be your first port of call. The brand was founded in 2012 after co-founder and ethical / Fair Trade consultant Clare Lissaman ‘was at an organic cotton conference and discovered none of the men there were actually wearing organic cotton because they couldn’t find smart work shirts made in organic cotton.’ Arthur & Henry prides itself on producing an entirely organic collection and the more casual Oxford shirts are Fairtrade Organic. Arthur & Henry is offering 20% off all full price items (i.e not gift card or sale items) with code XMASGW20. Valid until 24th December 2017. Order by the end of the day on Wednesday 20th December for Christmas delivery in the UK. J G GLOVER & CO is a family manufacturing business that has been producing clothing in Britain for 220 years. 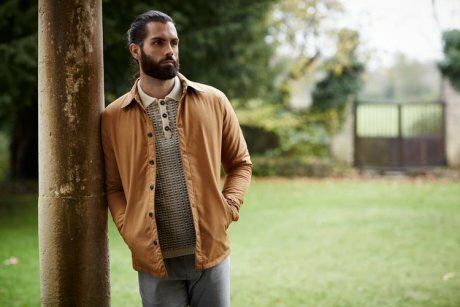 In 1956 they established Peregrine Clothing, and though the fashion brand is separate to the manufacturing arm, it continues to be a family business. In 2003 the current managing director and designer Tom Glover took the helm at Peregrine Clothing and though he has modernised the brand, the company's aim to design for longevity remains key to its success. The style is enduring and the focus on quality materials and expert production means they produce heirloom pieces that are made to last. The whole collection is made in the UK and all of the cotton is woven here too. Peregrine Clothing is offering 10% off to new customers with the code BUYBRITISH. Valid until 1st January 2018. Tail End founder Fran Rennison works from her Bristol studio reworking second-hand textiles to create something new, vibrant and fresh. She offers ‘made-to-order’ to prevent waste and to give customers the chance to input into their new garment. Focusing on vintage and festival fashion Tail End upcycles old garments and utilises innovative pattern cutting in its collections. 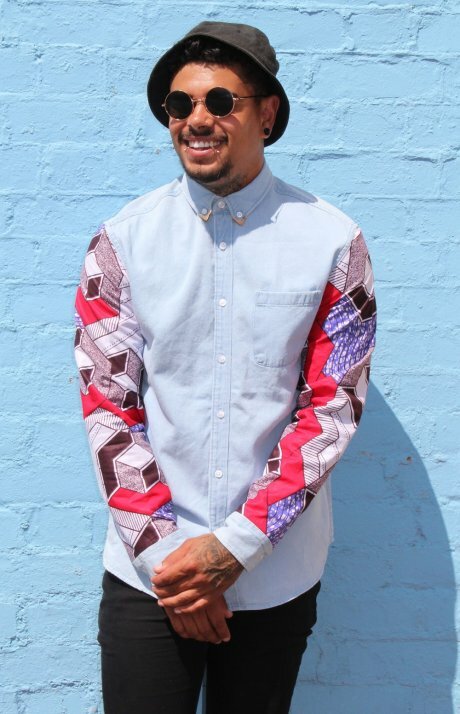 The men’s shirts from Tail End are customised to order – select your sleeve fabric and Fran will rework it just for you. Contact Fran via the website for more details and order by Monday 18th December for Christmas delivery within the UK. Tail End are collaborating on a pop-up event in Bristol from Friday 8th to Sunday 10th December. Local designers will be selling their collections and there will be ‘making’ workshops too. More details can be found here. As the website explains, the team at Howies ‘believe in a thing called quality…[they] believe that making a product which last longer is better for the environment.’ Howies combine practicality, performance and comfort with style and ethics. To them it’s just ‘common sense’. Howies is offering 20% off with the code WARWSDA. Valid until 18th of December 2017. It can only be used on full priced items (i.e not bundles / multi-packs / 'Last in the Box' / sale items). Visible Clothing is all about transparency. The brand provides a breakdown of their costs on their website so you know where each and every pound of your money is going, which is not only reassuring but also enlightening. All of their products are either organic Fair Trade cotton or upcycled cloth and are made-to-order to eliminate waste. 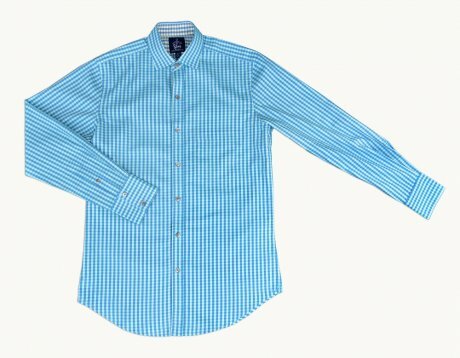 Shirts are produced with end of roll or ‘dead stock’ fabric and can be made in three different cuts - classic, slim and extra slim - at very affordable prices. You can see the ‘Visible Cost and Breakdown’ of one of their shirts here. And they sell ties too. Visible Clothing is offering 15% off using the code GOOD WARDROBE. Valid until 1st January 2018. Order by 4th December for Christmas delivery. As garments are made-to-order in the Visible Tailoring Centre in Dharamsala delivery does take a bit of time though a priority shipping option is available. If you do want to shop on the high street then check out the Fashion Revolution 2017 Transparency Index which sheds some light on 100 of the biggest fashion brands. None of them scores over 50% but it will give you a sense of how transparent your favourite brands are. Image credit top: Radski Studios for THTC.